Looking for movie tickets? 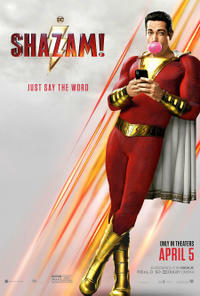 Enter your location to see which movie theaters are playing Shazam! near you. Will you say the magic word, raise the dead, or fight for change? 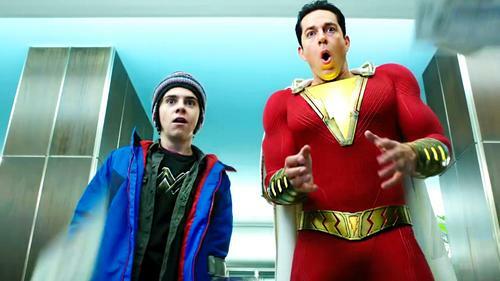 In theaters this weekend: 'Shazam! ', 'Pet Sematary', and 'The Best of Enemies'! Movieclips: Concession Confessions - Shazam! Zachary Levi, the star of 'Shazam! ', reveals his favorite movie snacks, the best place to sit in the movie theater, and the best tips and tricks for enjoying the moviegoing experience in special edition of 'Concession Confessions'! Hey, moviegoers! With so many fantastic films already in theaters, we thought we'd take a look ahead at which movies to expect in 2019! What will YOU go see? See Full Cast + Crew for Shazam!